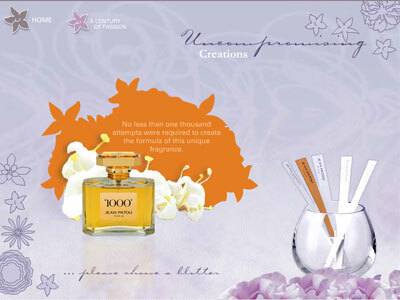 Tagline The costliest perfumes in the world. There may be thousands of florals to choose from, but fans of these arrangements never stray. 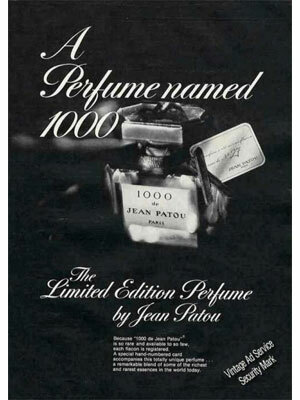 Jean Patou 1000 blendsrose, jasmine, violet, and sandalwood in a spicy scent; Jacqueline Kennedy was a fan (blommingdales.com). 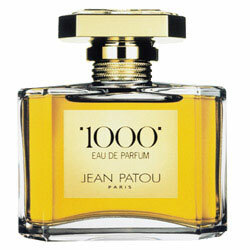 1000 by Jean Patou - This is one of the greats because it has a large amount of rose essence - you immediately recognize the rose in the mix of jasmine, violet, and sandalwood.